Raise your hand if you’d like a little more simplicity in your life – specifically your professional life. Healthcare professionals should have those arms stretched sky-high. Many physicians and office staff, particularly in smaller practices, are using web-based office suites hoping to communicate in a manner that is less complex and, as a result, more efficient and cost-effective. But, the traditional fax machine represents a giant roadblock on this journey toward simplicity. Despite being a clunky device that operates at a pace too slow by today’s on-the-go standards, faxing still ranks among the healthcare industry’s most preferred methods of communication. In fact, the 2012 National Physicians Survey noted that faxing remains highly popular with nearly two-thirds of respondents, ranking second (63%) only to the telephone (95%). Online faxing offers a more functional way to fax. It only requires the bare essentials, making it most appealing to healthcare providers – or anyone working in a small business environment, for that matter. All that you need is an Internet connection, and the ability to send and receive messages from your office email. Additionally, online faxing offers email-to-fax and fax-to-email capabilities. You can send and receive faxes from any email system or application, including mobile devices. Images of signed documents can be delivered in a variety of formats, and sent as attachments to emails. Gone are all the elements of traditional faxing that pose problems, routinely frustrate physicians and administrators, and shift focus away from patients. Beyond reducing the stress level of office workers who are forced to endure the pains of paper faxing, adopting an online fax service is beneficial for a variety of reasons. Like any appliance, a fax machine takes up physical space. The machine itself also requires periodic maintenance for optimal performance. The phone line is like a leash; it prevents you from enjoying fax-from-anywhere freedom. Forget about refilling paper trays, dealing with paper jams and reordering ink cartridges. Your practice instead becomes more productive and environmentally friendly. Minus any snags, a traditional fax machine transmits at the rate of one minute per page. 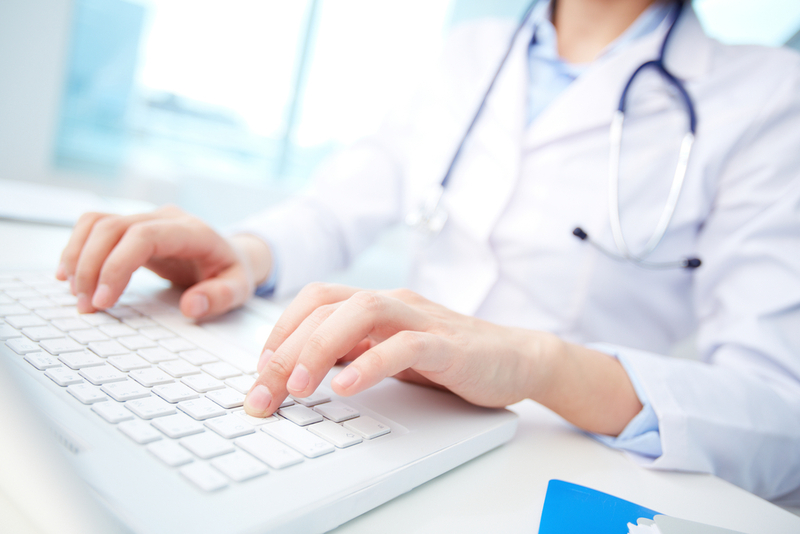 This can be cumbersome, especially when transmitting multiple-page documents or patient charts. Forty-nine percent of office workers have read a paper fax intended for someone else, according to GFI Software’s October 2012 independent survey. In healthcare, the number jumps to 60%. Technology exists to free your business from phones lines, modems, fax boards and additional software. Making your life easier is possible by changing the way you fax. Learn more on how your business can benefit from simple, fast, online faxing today! Great read, any improvement to the speed of working in healthcare is a welcome change!